An important component of power consumption worldwide is street lighting. India is no different. Global trends in street lighting show that 18-38% of the total energy bill goes towards street lighting and therefore this is one domain that needs major attention if we look at improving efficiency of power consumption with an objective of saving energy. The Street lights are a raised source of light on the edge of a road or walkway, which is turned on or lit at a certain time every night. Major advantages of street lighting includes: prevention of accidents and increase in safety. Street lighting has been found to reduce pedestrian crashes by approximately 50%. A number of street light control systems have been developed to control and reduce energy consumption of a town's public lighting system. Many times, these street lights are not operated regularly, i.e. adhering the proper timing for ON and OFF. It increases the energy bill and carbon footprints in our environment as it operated from mostly thermal power plants. A 10th standard student from Amrapr village of Rajkot district in Gujarat, was very update about the fact that due to government negligence, the street lights burn night and day which is waste of energy results in national loss. To eliminate this chronic problem, he has created a device which can be used to control street lights through mobile. For the convenience of the village when he proposed this instrument in the beginning people did not take his words seriously. But when the work was completed on the back of the device, the same people were surprised and appreciated his efforts. 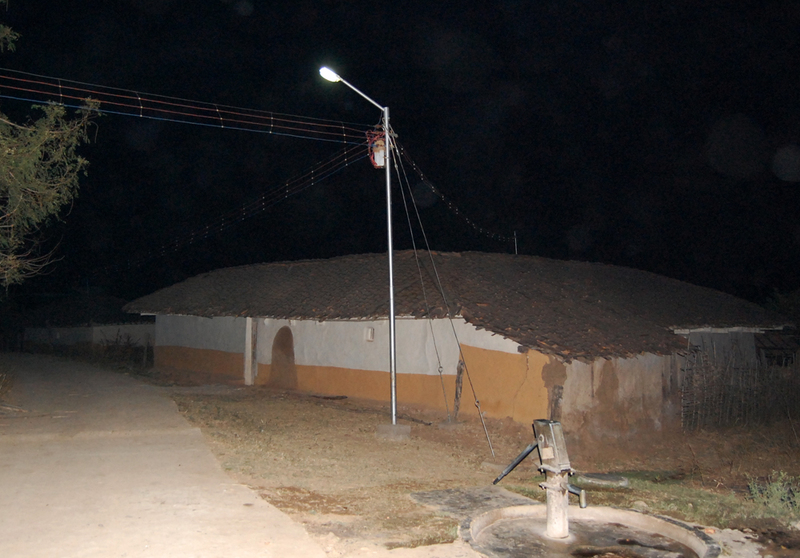 There are 60 LED street lights in the village, connected to a mobile circuit. You can switch ON and OFF street lights by giving just a missed call on a certain number. This mobile number has been given to the village head and the security officers, so they switch ON and OFF street lights whenever it is required.